Fit on our IKEA bookshelf, which rules out most wider soundbars. Have an IR port for remote control via the Apple TV remote, which ruled out simple bookshelf speakers. Have an optical input as Samsung TVs do odd stereo separation things to sound output through the headphone jack, making dialog really difficult to understand. The Bose seemed to check all those boxes, so I ordered one and have been playing with it for a few days. So far I’m pleased with it! The remote is ridiculously huge, but doubles as a universal remote for your TV as well. 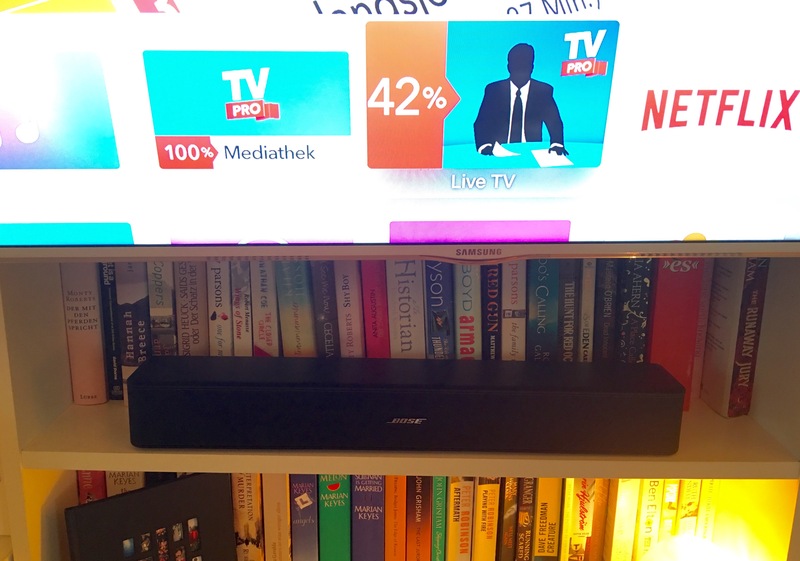 The Bose Solo 5 works fine with the Apple TV remote volume controls once you’ve set it up. Bluetooth is nice, but this speaker isn’t my first choice for music. Dialogue from the TV is nice and clear without being too loud. Overall the sound isn’t terribly immersive – it’s certainly not the experience you get from a 5.1 setup with subwoofer, but it’s good enough for a medium-sized room. I’d say if amazing sound from TV & movies is a priority, spend a bit more and get something a bit better. 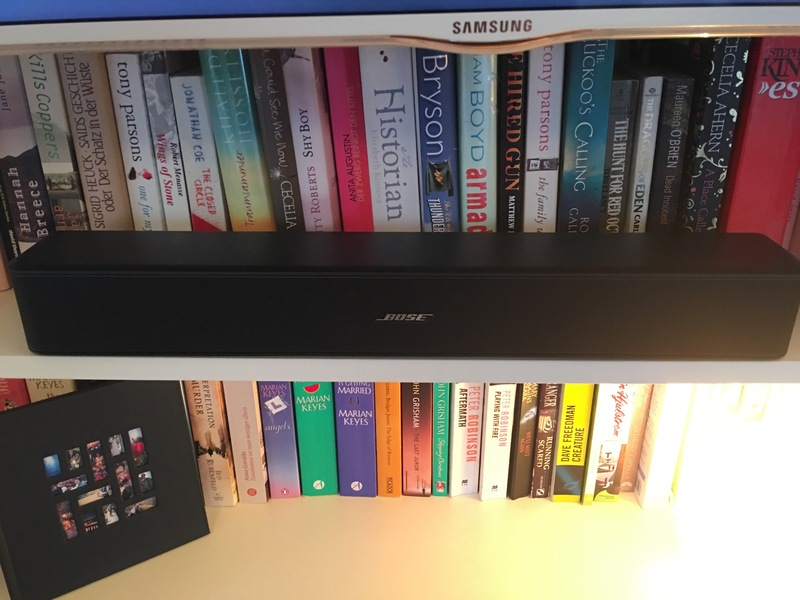 But if you’re looking for something compact that offers a substantial improvement over the speakers built-in to your TV, the Bose Solo 5 is a good option. 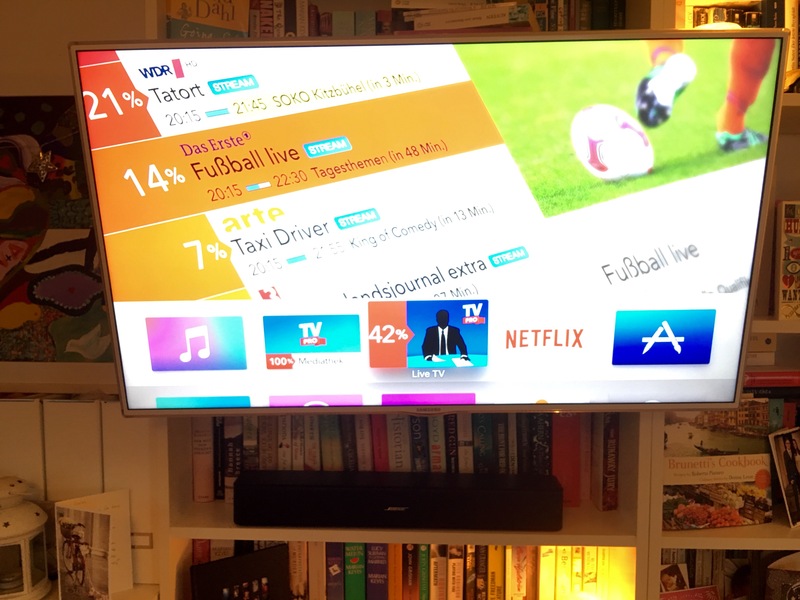 This entry was posted in Products and tagged Apple TV, audio, bluetooth, Bose, music, optical, review, soundbar. Bookmark the permalink.